Birthing From Within Calgary childbirth classes help you prepare for your transition to parenting by going deeper than just the facts. There’s only so much Google can tell you about childbirth and parenting. Birthing From Within classes help you prepare for your transition to parenting by going deeper than just the facts. During our time together you will learn new information AND you will also spend time cultivating your intuition, deepening your connection with your soon-to-be-born baby and your partner, and exploring your own beliefs and values around birth and parenting. Giving birth and becoming a parent is a powerful rite of passage. Prepare with your whole heart, mind, and soul. "Rachel was very personable and informative. We loved the little surprises throughout the course and the focus on each other. After every session we felt a real "high" and connection with each other. The labyrinth analogy was very helpful during labour as well as postpartum. We loved the positions we learned and the tips and tricks for baby! Such a great course and would recommend to anyone!" 12 hours of in depth content. Additional reading and resources for self-study. Guaranteed small classes, to ensure a personalized approach. The opportunity to learn and practice a minimum of 3 mindfulness based pain coping practices. Time and space to explore your deepest beliefs about birth and parenting. The chance to try out comfort measures and positions that will be helpful in labour. Practice gathering information and making informed choices. Preparation for birthing-in-awareness, no matter the outward circumstances of your labor. A private class just for partners to discuss their own unique questions and concerns. "My husband and I looked for a prenatal class that would be informative, open minded, and provide a wholesome approach to birthing. I'm so happy with the Birthing From Within curriculum. It's exactly what my husband and I were needing. 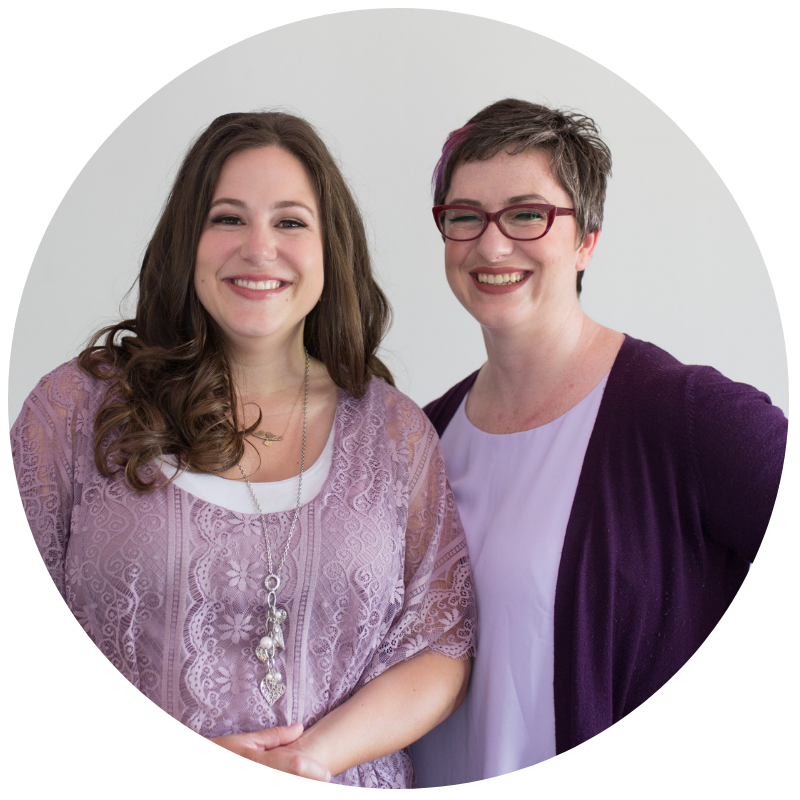 Thank you again Ericka and Rachel for sharing your time and love for couples in this precious time of their lives." Our classes are held at Red Community Midwives’ community space: #216, 5401 Temple Drive NE. CAN YOU PROVIDE ME WITH A SYLLABUS? While there are certain essential topics that are always covered in our classes, one of the underlying philosophical assumptions of Birthing From Within is that you, as a class participant, bring valuable knowledge and unique needs into our shared space. Which means that we adjust our teaching as we go, to co-create the class content with you. Three affordable payments of $132 + GST. Payment is due in full one week before the first class in your series. Please note, if you are unable to make one or more of the classes, we are unable to schedule make up classes, however you will still receive all handouts and resources from the missed class. WANT TO KNOW MORE ABOUT BIRTHING FROM WITHIN?